California is known for its beaches. If you’re looking for fresh seafood, incredible surfing opportunities, or places to view wildlife, you’ve got plenty of options to choose from. But, what about its famous piers and boardwalks? From San Diego to San Francisco, there are all sorts of amazing choices for you to spend a few minutes to a few hours wandering along the coast, people watching or taking in the view. It almost makes it hard to choose, right? But in this post, we’ve got you covered. 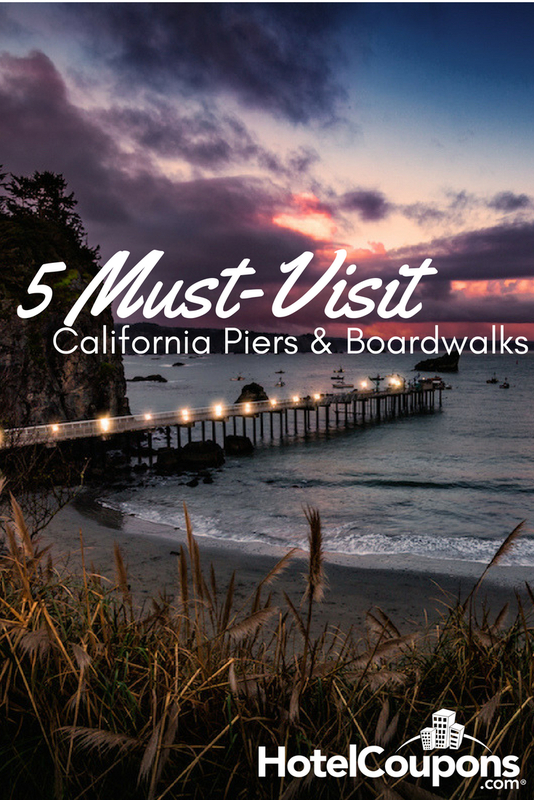 We’re going to share our favorite must-visit piers and boardwalks along the Pacific coast in California. 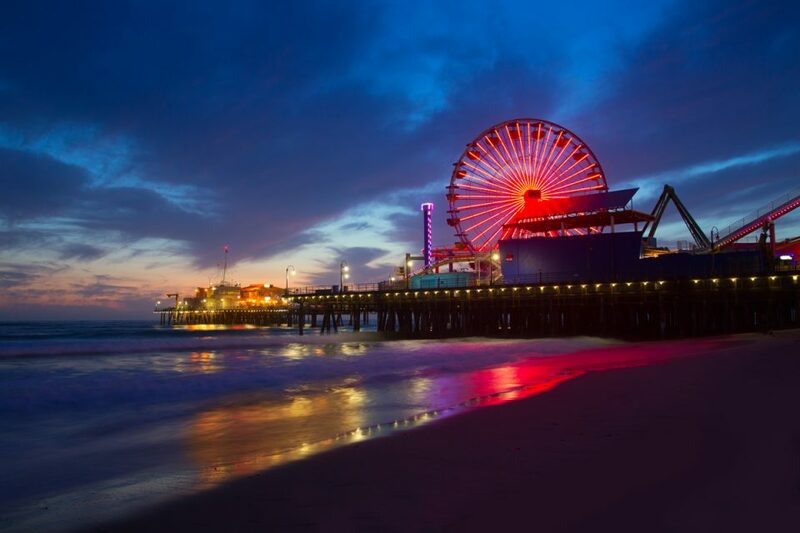 There’s probably little doubt that when you think of California’s piers, the Santa Monica Pier is what comes to mind. As part of Pacific Park, you’ll find a Ferris wheel, kid-friendly rides, and a beautiful carousel. There are a number of events you can enjoy throughout the year. These include yoga, concerts, and markets just to name a few. There’s even a trapeze school! There are plenty of piers to enjoy in and around San Francisco, but one of our favorites is the Hyde Street Pier. The coolest thing about this pier is it’s home to a bunch of historic ships. You can’t miss them, follow the masts rising into the sky! As part of the San Francisco Maritime National Park, it’s also home to a very impressive maritime history museum, where you can enjoy daily guided tours. With so much stuff to do in and around Los Angeles, you can’t forget the beach. But in this case, no visitor should skip the Venice Beach Boardwalk. Here you’ll find over 1,300 feet of walking space and gives amazing views of the sea. From this pier you can enjoy fishing, walking, rollerblading, and cycling. 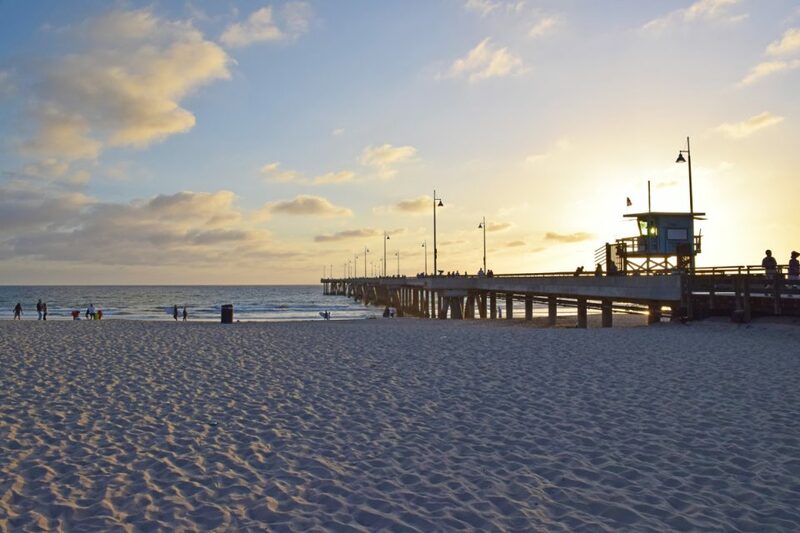 Visitors and locals love strolling the area and watching beach volleyball games by the shore and the famous weightlifters of the Muscle Beach gym. Many people love visiting Capitola Wharf because it gives them a feeling of being in Europe, not California. It’s unlike many of the other piers and boardwalks across the state mostly due to the pastel homes and buildings that line the nearby shore. Spend a day avoiding the hustle and bustle and enjoy strolling up and down this pier. Or you can see fantastic views from any of the nearby bars and eateries. If you’re feeling like an adventure, try a local kayak rental and explore the beach around the wharf. Want to visit a California pier that’s truly a hidden gem? Then Trinidad Pier should be your next stop. 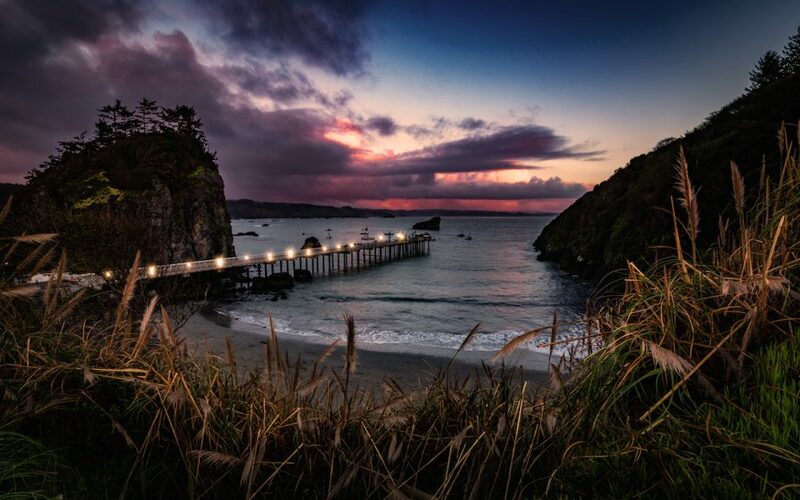 This is California’s northernmost pier, just 80 miles south of the Oregon border. It’s about 30 minutes north of Eureka on historic Route 101. This pier might be the most remote, but it’s surrounded by incredible natural scenery as it extends out from a small slip of land out to a rocky coastline. You can take in the views, get a bite to eat, or drop in a line for a few hours of quiet fishing. 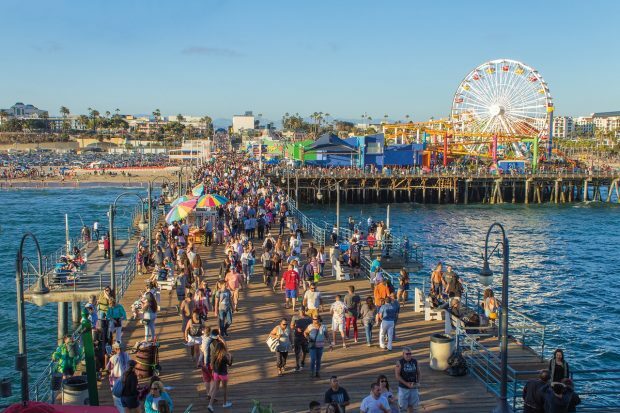 Don’t miss any of these must-see California boardwalks and piers. These are only a handful of the best out there, the state is full of them!